The urban landscape is so perfect for post-processing. I go through phases when I am out shooting of focusing and defocusing. I don’t really get caught up about the crispness of an image. If the image is well-composed and captures a moment or a feeling, this will emerge. If the image is not well-composed, no matter how crisp it is – no story can emerge. There are times images need to be in focus and others the freeing of that focus allows a freedom of interpretation that might not have existed. Posted this yesterday on Instagram. I tend to post a shot a day on there too, but I am tiring of it. Ya, there are good shots appearing there and I have some good friends I interact with, but I think the screen is too small and the social aspect of it too limited, ironically by the large numbers of followers and large numbers you have to follow. Am pretty bored with Instagram. Anyway, I digress. I like this iPhone shot. 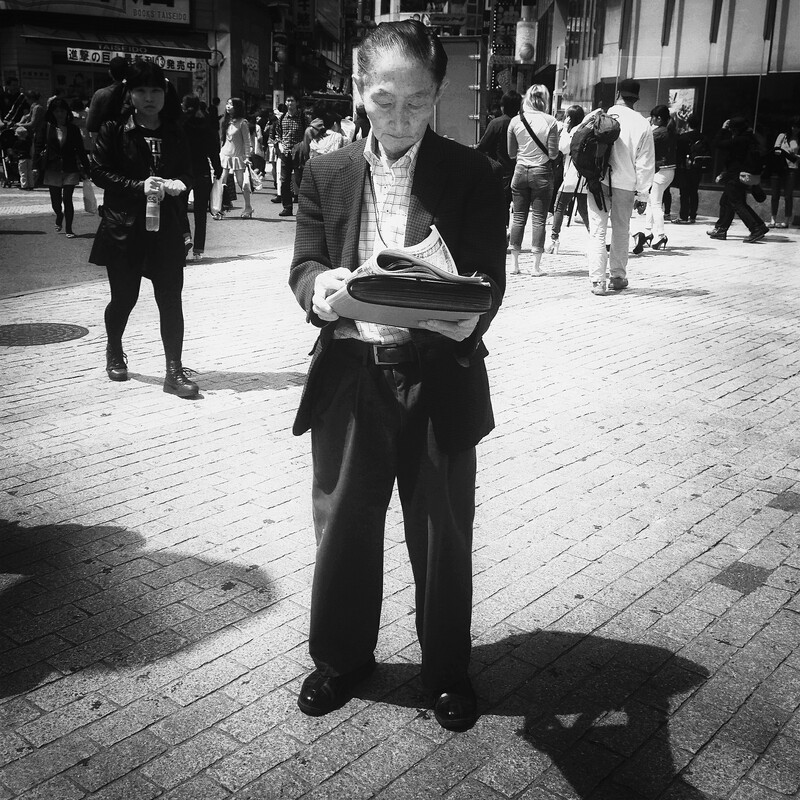 Here was this gentleman standing as still as lamppost amidst all the hustle and bustle of Shibuya. I like the light on his face. 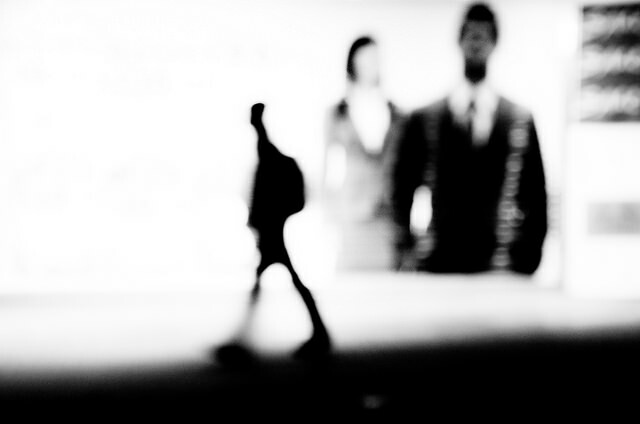 This entry was posted in Daily posts to Flickr, iPhone, photograph posts, Street Photography and tagged Abstract art, art, black and white photography, blur, blur art, Brendan Ó Sé, flickr, instagram, iPhone, iphoneography, love, mobile photography, photography, street photography, Tokyo, travel.